Do you like to learn German? That is great! Even if German is regarded as a difficult language – you will make it! I found out that the Federal Ministry of Education and Research has developed a special website which may help you. It is a learning portal and you can find it here. First, you choose your mother tongue, then you need to sign up and here we go! 🙂 An App for smartphones should be available in the near future as the Federal Ministry of Education and Research announced. 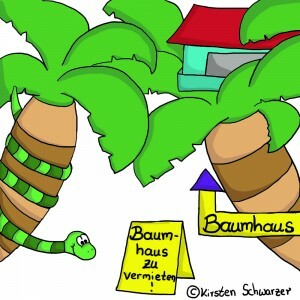 Even if it is not easy to learn German – it is worth the effort! Did you study in your home country? Do you have already a degree? Do you like to continue your course of study? The German State of North Rhine-Westphalia has created a website, which may help you. Here you find information for refugees who want to study in North Rhine-Westphalia. Another example is a special program of TUM (Technische Universität München) for refugees. For more information, please contact the Ministry of Science and Research of the German State where you are living now. Here you will find more information about Kiron University. 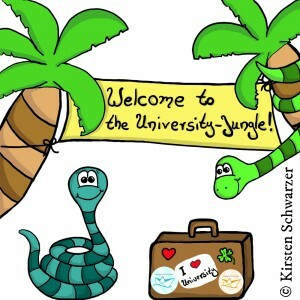 If you study in Germany, you will need help to find your way around the “University-Jungle”. Every university or university of applied sciences and arts has an international office. The employees of the international office will answer your questions. Most of the international offices initiate a mentoring program: A native mentor (German student) supports an international student. Your “buddy” helps you if you have questions or concerns. In conclusion may I say: I wish you all the best! Du interessierst Dich für ein Medizinstudium und weißt nicht, was Dich erwartet? Deine Abinote ist eher durchschnittlich und Deine Chancen auf einen Studienplatz sind daher nicht so rosig? Darüber hinaus fragst Du Dich, wie Du das Medizinstudium überhaupt finanzieren sollst? 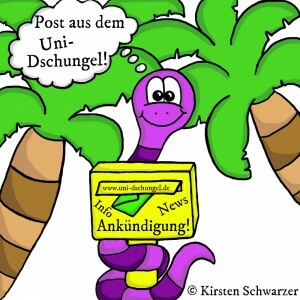 Dann kann ich Dir den Infotag Medizinstudium in Berlin nur wärmstens empfehlen! Weitere Infos und eine Programmübersicht findest Du hier. Nach der Veranstaltung gibt es noch eine Verlosung von Dingen, die das Medizinstudium schöner machen (ein Arztkittel, ein Stethoskop und naturwissenschaftliche Fachbücher). Also, worauf wartest Du noch? Nichts wie hin!